The Stone Arrow (approx. 71,000 words). My first published novel. It won a prize, putting me in the company of people like Shiva Naipaul and Kazuo Ishiguro, which astonished me (in case there had been some mistake, I hurried to the bank on my bicycle to deposit the cheque for £500 – nearly as much as the entire advance I received from the London publishers). It's set in Sussex in the latter part of the Stone Age, when the native hunter-gatherers are being displaced by immigrants from the near Continent, agriculturalists practising slash-and-burn. The form is that of a thriller, with lots of derring-do. It's very ingenious in parts, though I say so myself. The Flint Lord (72,000 words) seemed like a good idea at the time, a sequel to the above. One reviewer described it as "dour", and I agreed with that. However, on a later reading it seemed quite inventive and entertaining in its way, and the violence peculiarly innocent. The Flint Lord himself is a proto-Nazi, and to get through the business of writing about him I listened to Wagner via headphones. The book was generally well received, and if you like its predecessor you'll probably like this too. The Earth Goddess (74,000 words). This follows on from The Flint Lord, and completes a trilogy I named The Pagans. It is much less violent than the other two, and the most interesting of the three. The late Neolithic and early Bronze Age threw up the first priestly class in Europe and their achievements (e.g. Stonehenge) were remarkable. The hero is a bit of a pill, and I ended the story too abruptly (by then being deeply disillusioned with my publishers and hence the whole idea of authorship), but the rest of it I still like. Refuge (83,000 words). A post-apocalyptic thriller, my least favourite child. Publishers' readers complained that the villain, in an earlier draft, was insufficiently unpleasant, so I obliged them and rather wish I hadn't. Nonetheless, some people really like the grittiness of this book, especially in the action sequences. The Tide Mill (125,000 words). Set in the 13th century, this describes two conflicts: one private and very personal, an illicit love affair, and the other grand and public, between the Church of Rome and the King of England. We see at first hand how a medieval manor worked and learn quite a bit about medieval engineering, but above all this is a gentle and rather touching coming-of-age story. The Drowning (125,000 words). My latest and most overtly literary novel. It will appeal especially to British readers over the age of 50. I consider this to be some of the finest work of which I am presently capable. Follow the links in the "Find My Books At ..." tab at the side and download the sample(s) of your choice from the website of your choice, free of charge of course. Or you can simply browse the text at Smashwords. Update, 18 October 2012: The Penal Colony is now free again at Amazon and elsewhere, so I have re-dated this post. Since it first appeared, I have also released Darling Brenda (see panel at side). I wrote a long comment but lost it through the crazy process. Really enjoyed the free download The Penal Colony. Bought the Refuge and it made my heart race. Loved the descriptions and can vividly recall scenes now. The descriptions are just amazing. The pace is perfect too. pausing for a rest just when I needed it too. Finished The drowning today and could have shed a tear - "Goodbye Roland". Just beautiful. The journey of the book really made me think about life, my love and my own relationships. I put Richard H on a par with Faulks / Archer in terms of my enjoyment. Even better (The drowning perhaps) because the descriptions, the narrative was deep enough but not too deep. Thank you for entertaining me so much the past 3 weeks. The Tide Mill is next. Tim, those are some of the nicest comments anyone has ever made to me. Moments like this make all the tribulations of authorship fade into the background. Thank you. On a recent trawl through the free e-books at various site I came across and downloaded 'The Penal Colony'. From the start it was obvious that here was a writer who knew his craft. As a speculator of what might happen in the near future I enjoyed the book immensely. All through my time on the penal colony I kept thinking what a great film it would make and it was no surprise to find that this had already happened. After reading 'The Penal Colony' I downloaded Richard's nature writing which I can also recommend. I will now accord Richard the honour of being added to my list of authors for whose work I would part with money. - All of them, without exception, are worth far more than their asking price. - Don't let Mr. Herley dissuade you from reading Refuge. In an honestly somewhat crowded genre of fiction - post-apocalyptic adventure - it more than holds its own, and is a riveting story. One of the smarter thrillers you'll ever read. I have read all the books now, after discovering the free copy of the Penal Colony. All were immensely compelling, wonderful companions, as a book should be, and such diversity. About to start Darling Brenda. I will tell my friends about the Penal Colony free ebook. Thank you so much -- that's what it's all about. I've taken the liberty of putting your comment in the sidebar. 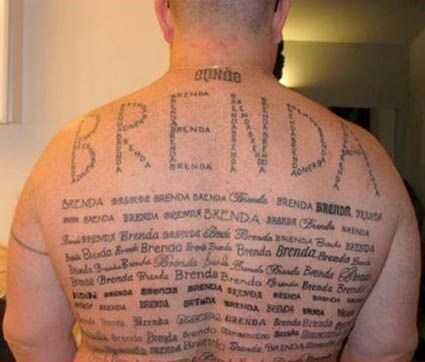 Hope you like Brenda ... this reader seemed to! I really enjoyed Penal Colony which I came across via kindle store. As a result of reading the free book I researched Richard's other titles and purchased Refuge which I also really enjoyed. I have since read a free version of Stone Arrow and was impressed enough to purchase the entire Pagan Trilogy which I have recently finished. Strangely, I had no hankering to read a 'Pagan' based novel but the free book enticed me!...and lead to my Trilogy purchase. Have taken a break from reading at the moment but will be looking to purchase Tide Mill and The Drowning which I kind of know in advance I'm going to enjoy. Richard I'm not a huge reader but I have never read as many novels from any one author....keep up the good work. @Graham, thank you. You are very kind, and I hope you enjoy those other books. Thank you so much for the gift of this book Now I have a new author to explore--you! Half way through the penal colony which sadly I did not get for free! Still well worth the money, has led me to purchase refuge. Guess I just wanted to say thank you for the great read. Thanks for your comment, Charles, much appreciated -- I just hope the second half doesn't disappoint! I cannot tell you how much you have expanded my vocabulary. I was bound and determined to never use a kindle, but one came in my tablet. The Penal Colony is my first ebook and I just loved the beautiful detail, thanks so much! @Julie -- thank you. Check out some of the other independent authors publishing electronically: you may be surprised how good they are, and how reasonably the new technology lets us price our wares. Thoroughly enjoyed this well crafted tale. Without giving too much away the tension of the finale was as gripping as anything I have ever read.A brilliant free download - I intend to try Darling Brenda to see how Richard handles black comedy. Thanks, Ron. Hope you like Brenda, though that book could hardly be more different from The Penal Colony! Thank you Richard for my free copy of the Penal Colony which I have just finished. It is a thrilling story and a great intoduction to your work. what about a book about the life of the Father and how he came to be a Z- Cat. That would make a good read I am sure. From the previos comments I think 'The Drowning' will be my next read. @Andy -- thanks for your comments and kind words. I don't have any plans to revisit those characters ... it's more fun to write stuff that's completely new. I hope you enjoy The Drowning; it's a very different book from Penal Colony.